Hi! 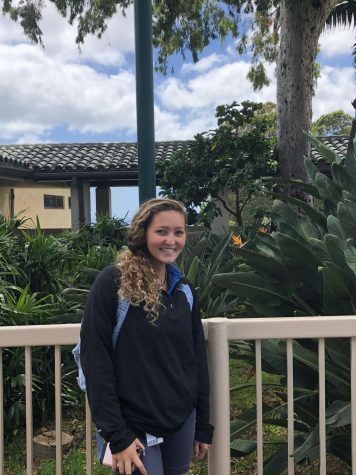 My name is Saige Ogden and I am a senior here at Kamehameha. This is my first year working as a reporter on the staff of Ka Mōʻī. Besides writing and getting my point across to people, I very much enjoy designing and creating my own ideas in creative metals and glass and ceramics, along with sketching and drawing! I hope to progress and accomplish even more in these areas this year. On my free time, I enjoy taking care of animals, trying new things, wondering and getting lost in nature, along with spending quality time with the people I care for in my life. My plan is to attend college next year somewhere in the west coast, and experience new things while at the same time learning and working hard to fulfill my lifelong dream of rehabilitating hurt wild animals in hopes of one day founding my own wild life sanctuary.